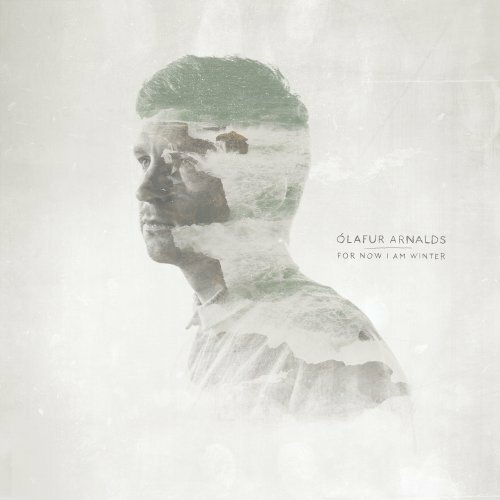 Hailing from Iceland – where epic landscapes are abundant and gorgeous, atmospheric music basically grows on trees (see Sigur Rós, múm, and Sin Fang if you need some convincing) – Ólafur Arnalds has proven himself a force of nature among Reykjavík’s varied music scene. He’s a pioneer of sorts, blurring the boundaries of classical, electronic, and post-rock influences. Some call it neo-classical. Arnalds’ third studio LP For Now I Am Winter, his first on Mercury Classics, harnesses the haunting darkness of Icelandic winter. And it’s entangled with moments of absolute musical clarity. “For Now I Am Winter.” Though each track is distinct, they flow together seamlessly. It feels strange to discuss Arnalds’ latest endeavor track-by-track because it’s such a cohesive composition. Each sighing, contemplative song melts into the next, outlined in minimal vocals and punctuated with subdued piano intros. It’s also worth mentioning that For Now I Am Winter is Arnalds’ first album sung in English. It makes sense considering this is arguably his first album with an international following, but I still prefer the lucid flow of instrumentals or his native Icelandic. That being said, “Old Skin” is one of this Owl”s favorite tracks on the album, boring ol’ English included.